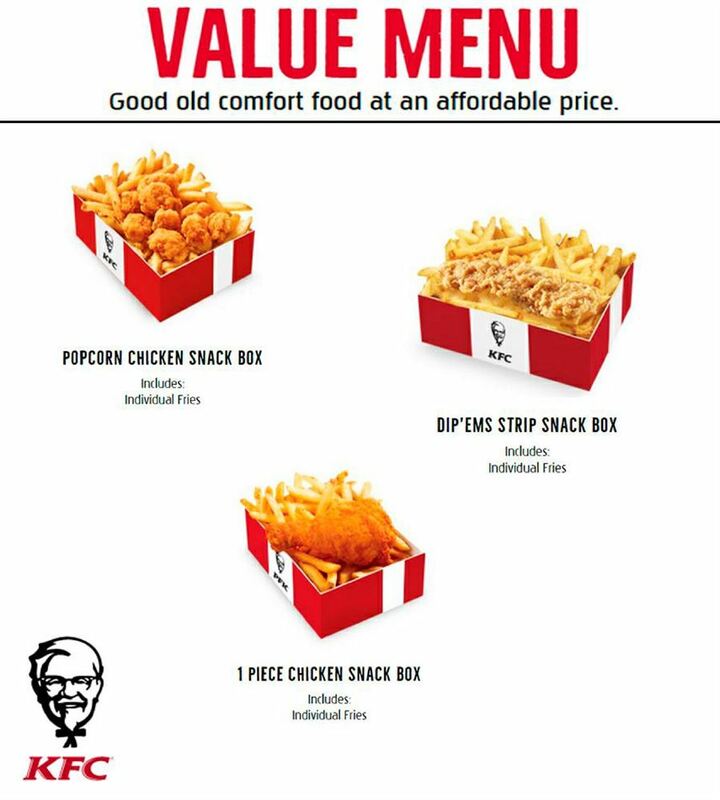 Catalogue KFC Menu Prices May 5 - Juni 30, 2017. Popcorn chicken snack box indludes : Individual fries, Dip'ems strip snack box includes fries, 1 Piece chicken snack box includes Individual fries, Toasted wrap snack box meal includes individual fries, Popcorn Chicken value box meal Includes 1 piece chicken, Individual fries, Toasted Wrap. 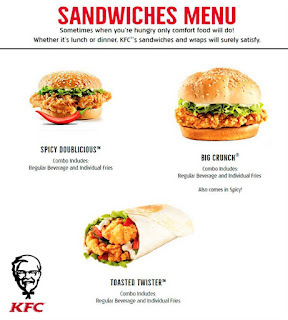 Sandwiches Menu SOmtimes when you're hungry only comfort food will do! 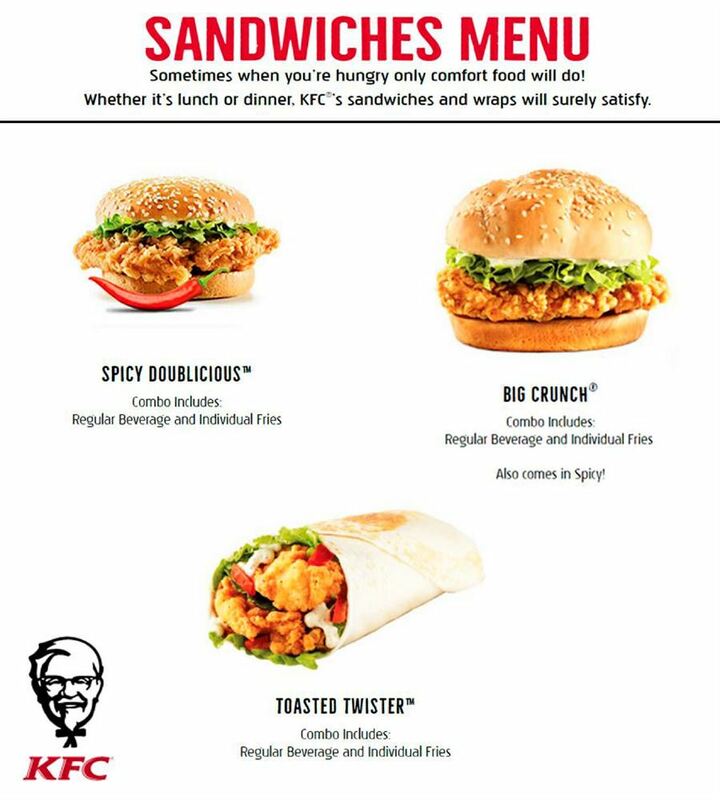 Whether it's lunch or dinner, KFC's sandwiches and wraps will surely satisfy. 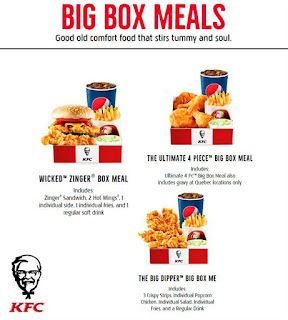 SPicy doublicious combo includes regular beverage and individual fries, Big Crunch Combo includes regular beverage and Individual Fries also comes in Spicy, Toasted Twiester Combo Includes regular beverage and Individdual Fries. 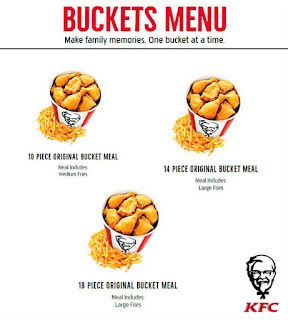 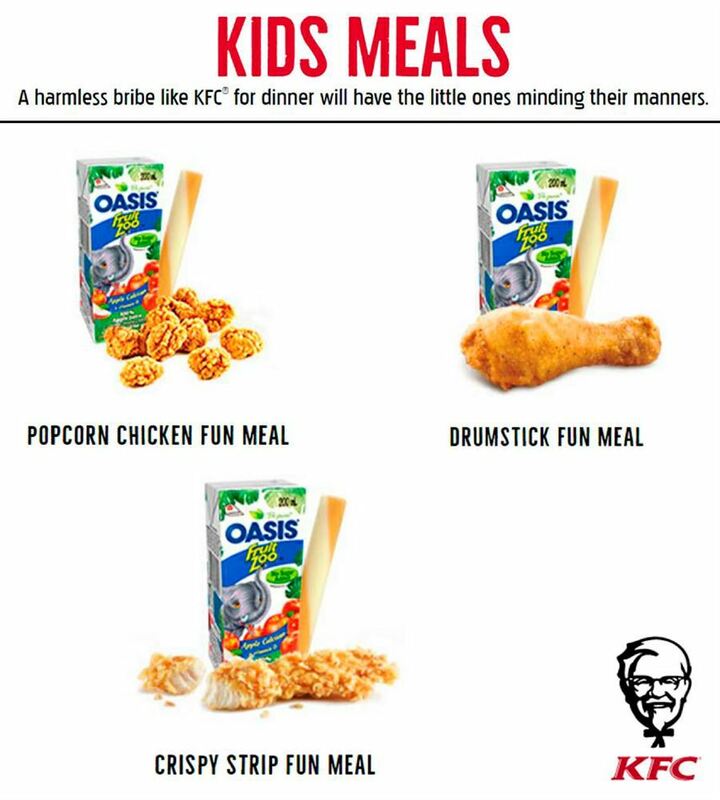 Buckets Menu Make Family Memories. 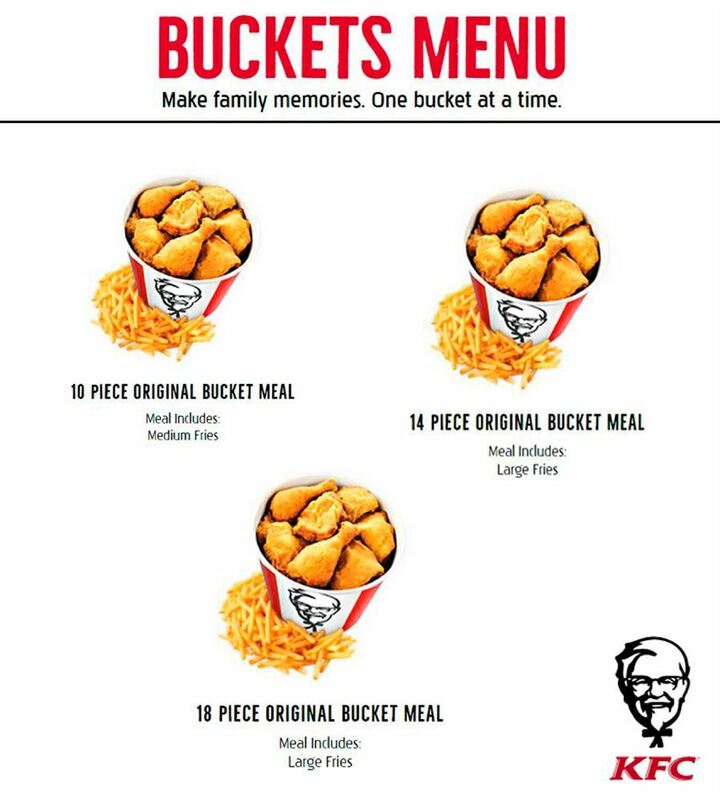 One Bucket a time. 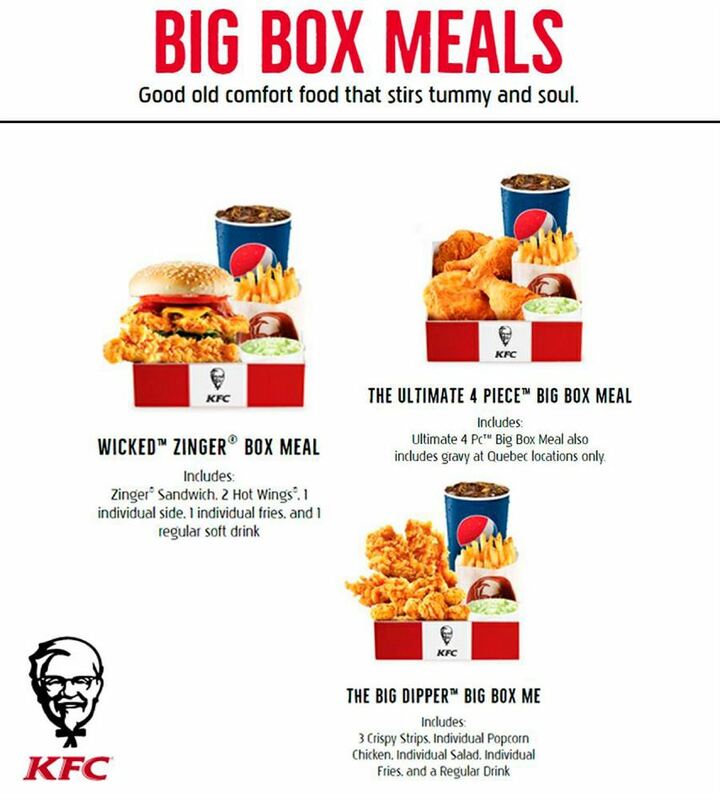 10 Piece original bucket meal Meal includes medium fries, 14 Piece original bucket meal meal includes large fries, 18 Pice original bucket meal meal includes large fries. 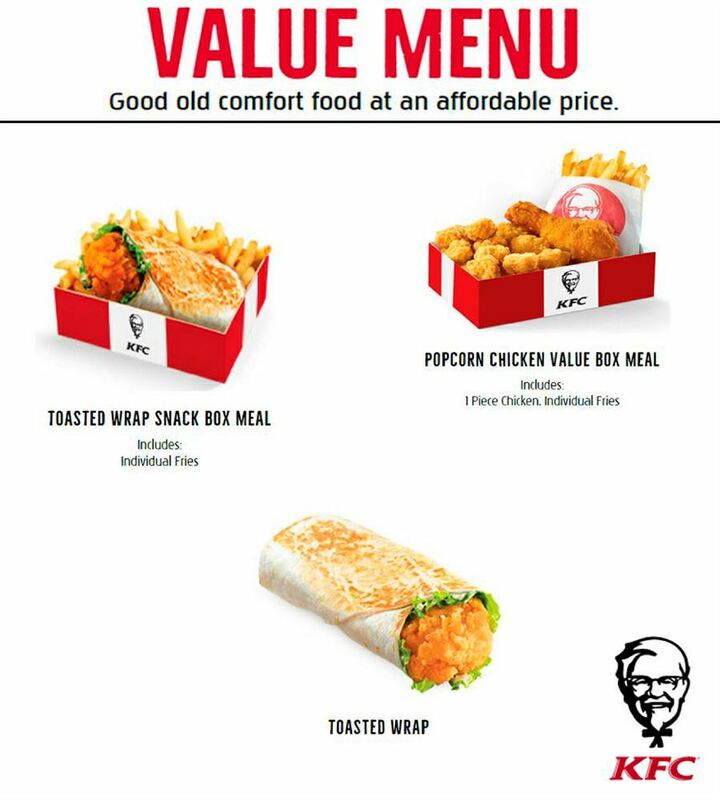 Just a simple click on the image bellow for details Catalogue KFC Menu Prices May 5 - Juni 30, 2017. 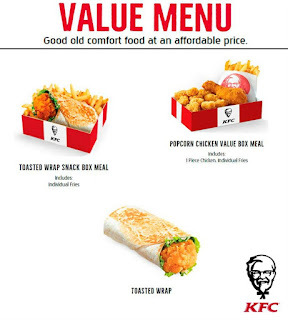 Catalogue KFC Menu Prices May 5 - Juni 30, 2017. 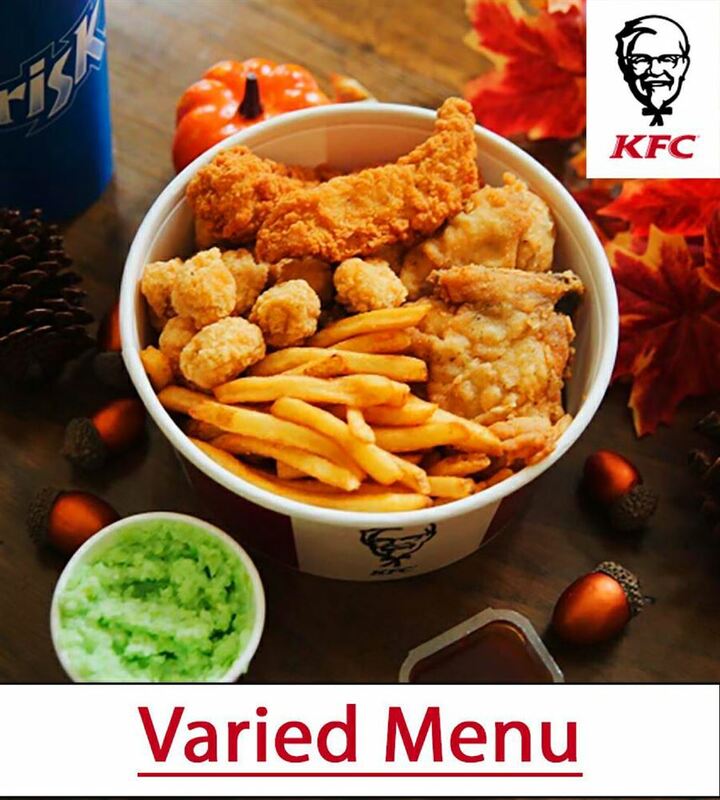 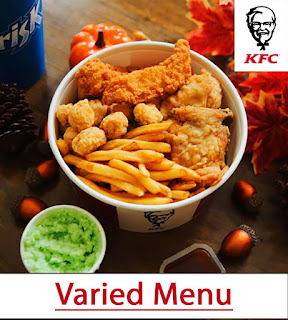 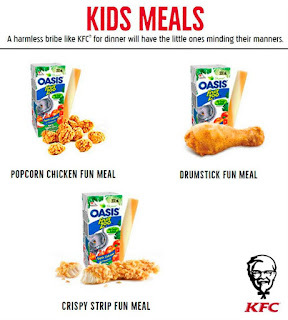 Subscribe this category for more of Catalogue KFC Menu Prices.